As I’m sure you all know by now, I’m a pretty simple woman when it comes to how I like to spend my weekends. Give me some junk food, (I’m a total snacker, I go nuts without having chips, nachos or popcorn in the house), cozy socks and let me binge watch some TV series or movies and I’m a happy girl! While I love a lot of the new Netflix originals (Umbrella Academy, Santa Clarita Diet, and Sabrina are some of my current favourites) and I’m also a huge fan of AMC (Walking Dead anyone? ), nothing will ever compare to the good old classic, Friends, am I right? I actually can’t go a single day without watching at least one episode! My DVD boxset has even started to wear out from being played so much. When you throw a girls craft day on top of PJs, food and Netflix and I’m over the moon! When it comes to coats, especially winter parkas, I always try to find ones that are in fun colours. I was really bummed out when my mustard yellow winter parka needed to retire and I had to buy a new winter jacket this year. I ended up picking up just a plain black parka and after my initial sadness wore off I realized there is a bright side to having a neutral jacket – accessories. Can you believe it’s already February? Time sure does fly! As much as I hate wither (which we’ve established many times already), I love February for two reasons: it’s my birthday month (yay!) and Valentine’s Day. If you know me, you might be laughing at the last reason because to be completely honest I am not a very romantic person and we don’t really do too much for Valentines. So you’re probably wondering why I love it now, right? Well, it’s because of everything pink, red and all of the cute shapes like hearts and the delicious candy. (Side note: Conversation hearts are my favourite and if you follow me on Twitter you’ll know I’m absolutely beside myself that there aren’t any this year.) I’ve also always thought of Valentine’s as a day to celebrate everyone who you love; not just your partner, but your friends, family and pets too. 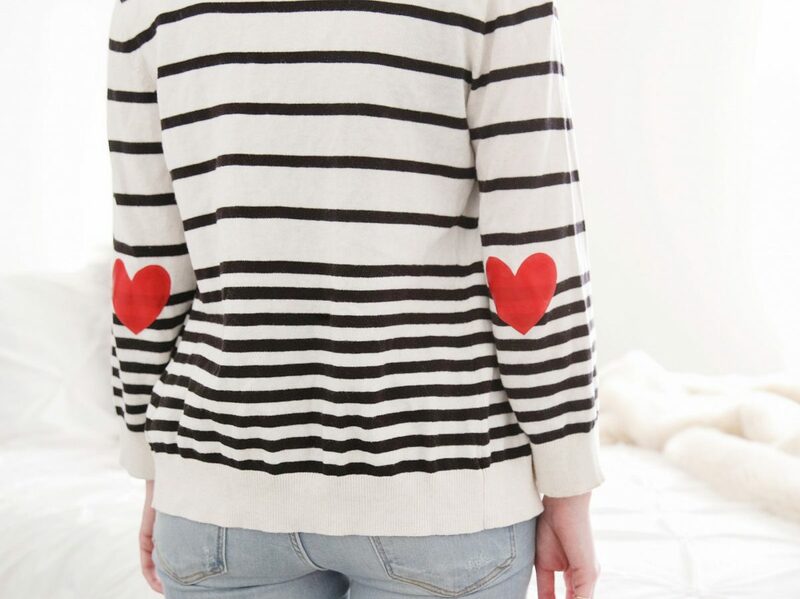 In the spirit of Valentine’s Day (or Galentine’s), I’m back with another super simple 3-step DIY that I did using my Cricut Maker – a heart elbow patch sweater! I’m back with another Cricut DIY! This time using my brand new Cricut Maker machine! 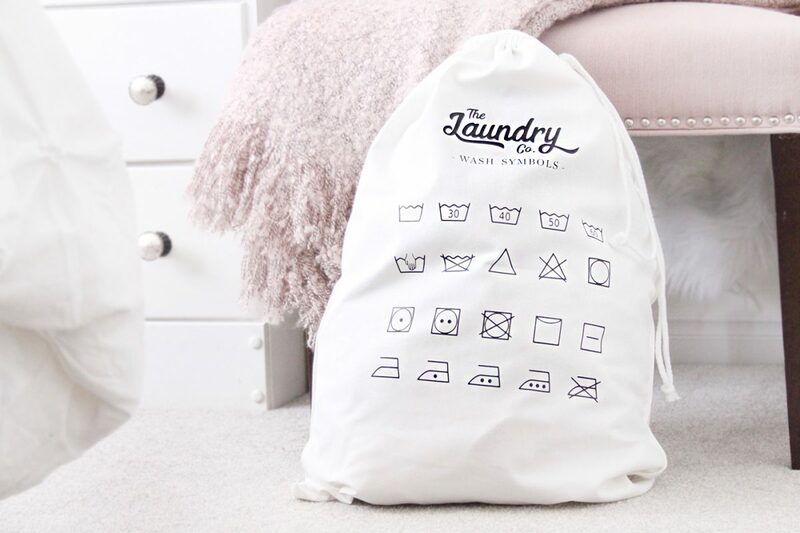 When I got my new machine, I also received the EasyPress 2, so naturally the first DIY with my new machine had to be an iron-on craft so I could try out the EasyPress. Let me start off by saying I love the EasyPress.